Thanks to the presence of drivers throughout France, Transports RABOUIN optimise their services at the sides of their customers. This linking of the territory is particularly true of the Alsace, Aquitaine, Bretagne, Île-de-France, Languedoc-Roussillon, Midi-Pyrénées, Rhônes-Alpes, Pays de la Loire and PACA (Provence-Alpes-Côte d’Azur). To ensure their service is always operational, Transports Rabouin have an integrated workshop that performs the regular maintenance of its fleet of lorries. This service performs the full and meticulous MOTs for each vehicle carrier and troubleshoots on site if necessary as rapidly as possible. From bodywork to engine mechanics, including tyres and standard revisions (oil change, belts, etc.) a team of 10 employees is available at any moment to provide efficient equipment that is always reliable. 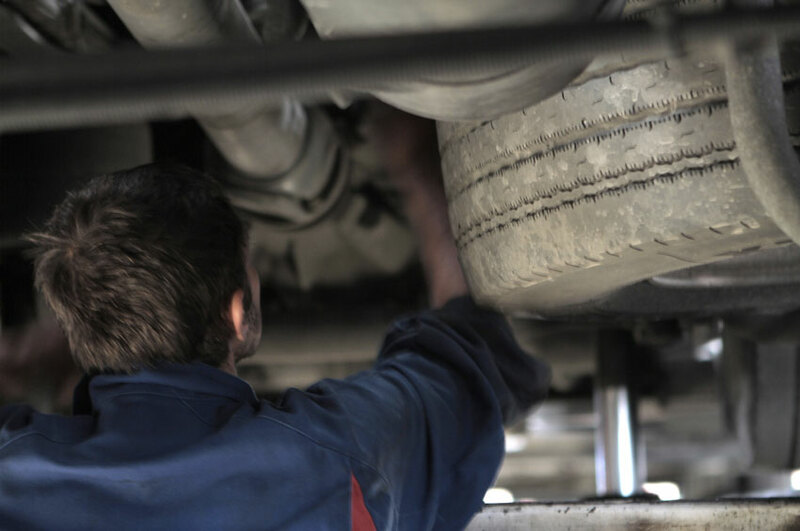 Among those of the mechanics and autobody mechanics are specifically formed to meet regulatory obligations regarding safety and the environment. The integrated workshop particularly proposes the preparation of your vehicle's approval by the authorities. 1 travelling crane for capacities up to 5 t.
Open workshop without interruption from Monday to Friday between 8am to 7.30 pm and Saturday morning.